The CAA decided to grant the airspace to TAG Farnborough on 11th July. After taking legal advice, Lasham Gliding Society decided to fight this decision and instructed its lawyers to draw up a claim for leave for a Judicial Review in the High Court. Lasham Gliding Society is strongly opposed to the CAA’s decision. It considers that the decision to introduce new controlled airspace has not been justified by the CAA, because it will create a choke point, it does not represent an efficient use of the airspace, and it does not properly or reasonably balance the needs of all users. Lasham Gliding Society says: “The consequence of the implementation of this large volume of controlled airspace, at the request of a small airfield which has around 28,000 annual (non-public) movements, will be to displace many times more transiting flights and to cause significant congestion of general aviation movements outside the controlled airspace.” The application for the JR was lodged on 10th October. The CAA has produced its reply, and the judge will decide if it can proceed. The cost will be at least £100,000 and Lasham hopes it will be of relevance to other general aviation airfields. The CAA decided to grant the airspace to TAG Farnborough on 11th July. After taking legal advice, Lasham Gliding Society decided to fight this decision and instructed its lawyers to draw up a claim for leave for a Judicial Review in the High Court. This was lodged on 10th October*. The CAA has produced its reply and matters are now being set up for a judge to review Lasham’s claim almost immediately. You are well aware from previous information circulated about the significant drawbacks to this decision to all parties concerned. For its own part, Lasham believes that if the CAA’s decision is not challenged, it would result in airspace that is both unsafe and inefficient and a precedent may be set for the way that all future decisions about lower airspace are made. Local communities also need to note where aircraft noise will increase from more concentrated lower flying aircraft over areas of Hampshire and the South of England. The Society has the capability to bring a case of this size against a government agency like the CAA. However its campaign will benefit the whole general aviation community as well as residents under some of the proposed flight-paths. 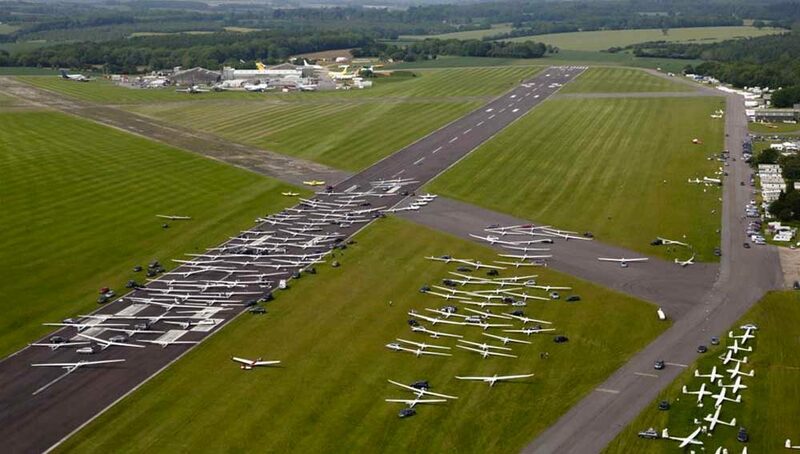 Considerable sums of money are involved and Lasham Gliding Society launched an appeal to raise at least £100,000 towards the cost of fighting the case. So far £39,367 has been raised. If you would like to contribute to fighting this, either click on www.lashamgliding.com/pages/airspace-campaign to read more, including the terms and conditions, or send a cheque to Lasham Gliding Society made out to “Lasham Gliding Society Special Reserve Fund”. The campaign is grateful to the Parish Councils for their warm support and to local friends and people who have already contributed so generously. Lasham Gliding Society has applied for a Judicial Review of the CAA decision to approve the TAG Farnborough Airport airspace proposal. John McCullagh, treasurer of the Lasham Gliding Society, said, “Having received the final documents for its proposed application for a Judicial Review of the CAA decision on the TAG ACP from the Airspace Team on Monday, the [Lasham] Committee of Management met Tuesday morning and approved filing our application with the Court. 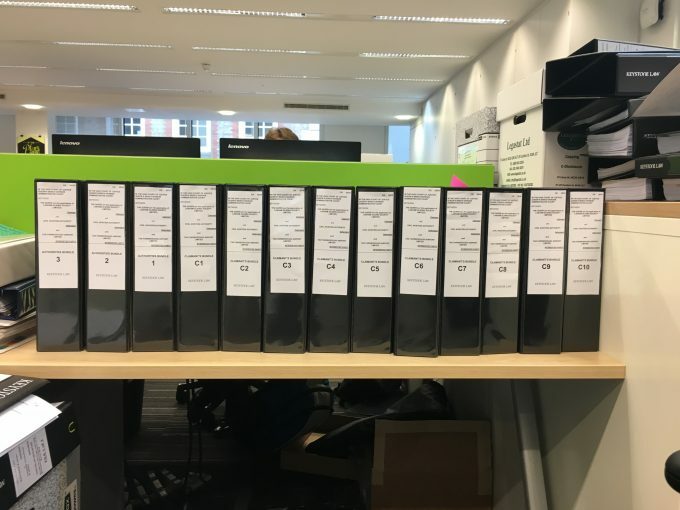 “The Airspace Team and our lawyers have completed a herculean task in compiling 183 pages of statements, plus supporting documents, which have been filed with the Court. Lasham Gliding Society is strongly opposed to the CAA’s decision. It considers that the decision to introduce new controlled airspace has not been justified by the CAA. It does not properly or reasonably balance the needs of all users. “The consequence of the implementation of this large volume of controlled airspace, at the request of a small airfield which has around 28,000 annual (non-public) movements, will be to displace many times more transiting flights and to cause significant congestion of general aviation movements outside the controlled airspace,” said the Society. Donations to the Lasham Gliding Society fund to pay for the review are welcome here.